Attorneys In Texarkana TX | The Law Offices of Flint & Soyars, P.C. Our firm is well known throughout the Ark-La-Tex region of northeast Texas, southwest Arkansas, and northwest Louisiana. We have more than 30 years of experience representing people injured in car accidents, truck accidents, train accidents, ATV accidents, slip and fall accidents, or due to nursing home neglect. When injured people come into the office, our hearts go out to them. 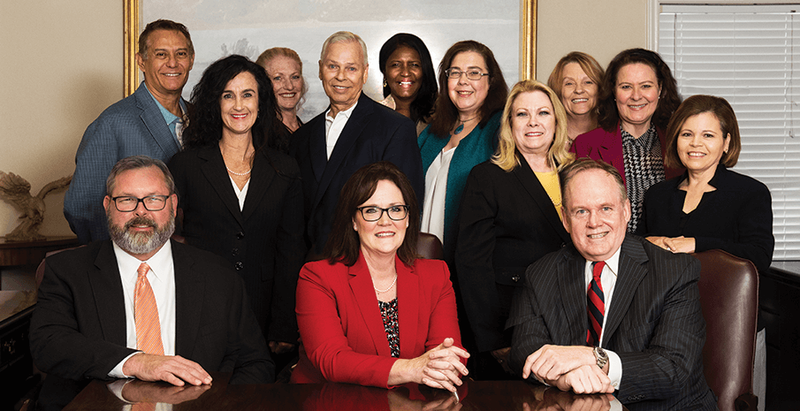 We have an experienced, professional team of attorneys as well as associates, paralegals, and office staff who fight for our clients with everything they’ve got. Our goal is to be an effective advocate for our clients in the legal system. Because we are licensed to practice law in Texas, Louisiana, and Arkansas, our lawyers know the values of accident cases in all three jurisdictions and can help our clients obtain compensation. We have office locations in Texarkana, Texas, and El Dorado, Arkansas. We are a part of the greater Ark-La-Tex area and put money back into local communities through charitable contributions. We also assist clients injured in accidents across the United States. Mr. Flint is also licensed to practice law in Massachusetts and New Jersey. We have represented clients with associate counsel across the United States and in Central and South America.